On March 15, 2009, the eyes of the gospel community shifted to Bridgeport, Connecticut for the fifth recording of the Stellar nominated aggregation, J.J. Hairston and Youthful Praise. The Evidence Gospel/Light Records signees, known for their great blend of solid choir music and worship flair prepared a session that sparked excitement and enthusiasm that left the audience in awe. The standing room only crowd converged upon the Cathedral of the Holy Spirit in great anticipation of an incredible evening and they were in no way disappointed. Hosted by GOSPELflava.com's James D. Robinson, the night began with a capella worship and prayer from Pastor Marichal Monts. After introductions from Bishop J.C. White, the choir took the stage and the hometown crowd roared in excitement and Hairston and YP came ready to praise. With a few high energy songs, the recording was off to the races. Songs like "The Lord Reigns" and "The Sound" were instant hits. There was an abundance of highlights from this amazing night of worship. Pastor Edwards lent his smooth lead vocals to the mid-tempo "I Am What God Says I Am", and was followed by "Awesome Wonder" with Stephen Hurd on lead vocals. The combo of Deon Kipping and JJ Hairston came together on the fun track with the infectious refrain of "Lord You're Mighty". Before the break, Hairston and YP went into "Powerful God", penned by Kipping and Hairston. Youthful Praise member David McClure left the crowd in awe with his powerful delivery on lead vocals during this song, ushering a period of high worship that went through the scheduled intermission for the recording. Moving to the second half of the recording, Youthful Praise continued to deliver hit after hit, with "Jeremiah 29:11", sharing the great expectations that God has for His people. 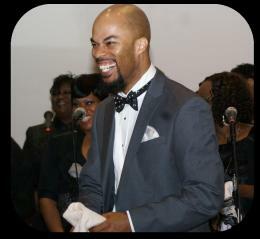 Bishop Eric McDaniel reunited with the choir and masterfully handled lead vocals on "Resting On His Promise". Relive the live recording with our pictorial recap of the evening's festivities. 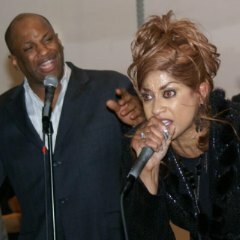 From there, Dorinda Clark-Cole added her lead vocals to the Hairston-penned "He's Still Mighty". Clark-Cole brought the house down with her trademark passion and energy. Before it was all over, Pastor Donnie McClurkin joined Clark-Cole as they traded vocal licks to the delight of everyone involved. Clark-Cole began preaching and sent the entire session into a spiritual frenzy. If that could possibly be followed, Lorraine Stancil handled vocals for "Lord You're Beautiful". Stancil's vocal range is second to none, moving from tenor to soprano in a heartbeat. At one point, and to the surprise of no-one, Stancil's shoes went flying high into the air and into the soprano section, in her excitement about the awesome nature of God. All in all, the recording session was one for the ages. Without question, Hairston and Youthful Praise have a definitive gem on their hands with this incredible effort. Relive the night with our pictorial recap of the evening's festivities. All content in GOSPELflava.com © copyright 2009. No information to be reprinted or re-broadcast from this site without the expressed written consent of GOSPELflava.com. All rights reserved.